The Farm have reformed to perform their seminal No.1 album ‘Spartacus’ 21 years from its release from start to finish on an intimate 11 date UK tour this spring. The tour starts at Edinburgh Liquid Rooms on 28th April and culminates at Manchester’s Club Academy on 25th May. After enjoying performing live once more with Mick Jones on the recent Justice Tonight tour, The Farm have decided to reform and embark on a UK tour due to popular demand. In addition to performing ‘Spartacus’ in chronological order the band will perform all their hits including the top 10 singles ‘Groovy Train’ and ‘All Together Now’. 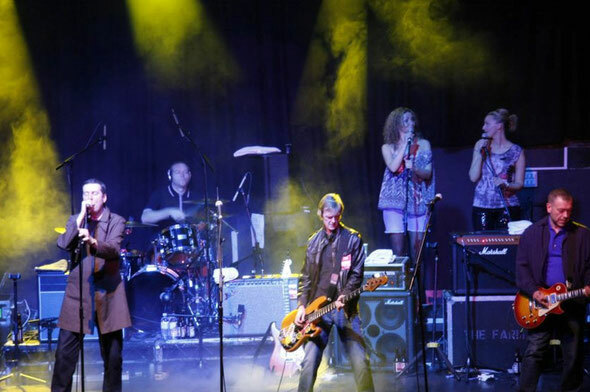 The band last toured in 2005 alongside the Happy Mondays. The critically acclaimed album which went straight in at No 1in March 1991 has never been performed live in its entirety, in the UK. The album, produced by Graham ‘Suggs’ McPherson of Madness was released on The Farm’s own Produce label. An independent release in the true sense of the word, the band were voted best UK indie band of 1991 and 1992. Members of group have gone on to become very successful filmmakers, scriptwriters, authors and record producers. The Spartacus Live tour will capture the heady days of indie/dance culture and will include the original line up of the band. The album was the best selling indie album of 1991 and went on to sell hundreds of thousands of copies all over the world. This will be the first time the group have toured the UK since their split in 1994.